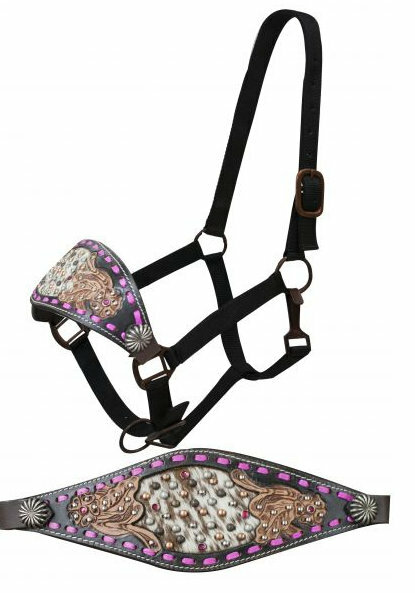 Showman ® Adjustable tie down cowhide inlay accented with pink buck stitching and medium oil floral tooling accented with silver studs. 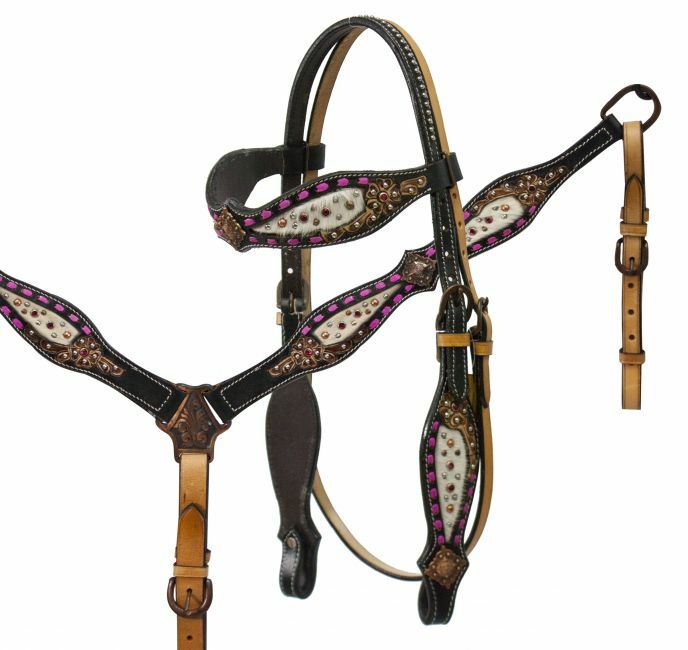 Noseband adjusts with a nickle plated buckle on crown piece. 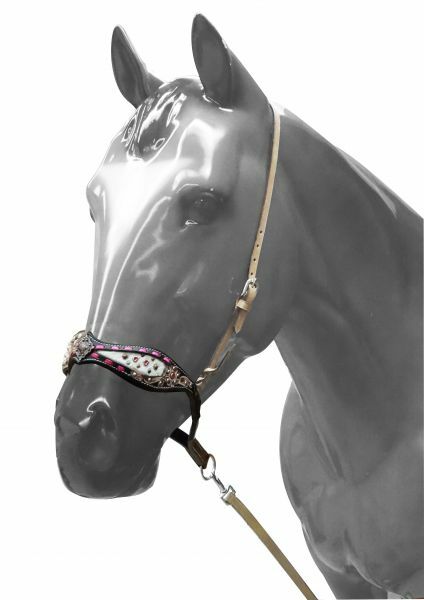 Noseband comes with 3/4" medium leather tiedown with nickle plated snap. Made by Showman ® products.